Join a C-Level Jewish executive for an intimate steakhouse dinner discussing career and Judaism, on us! 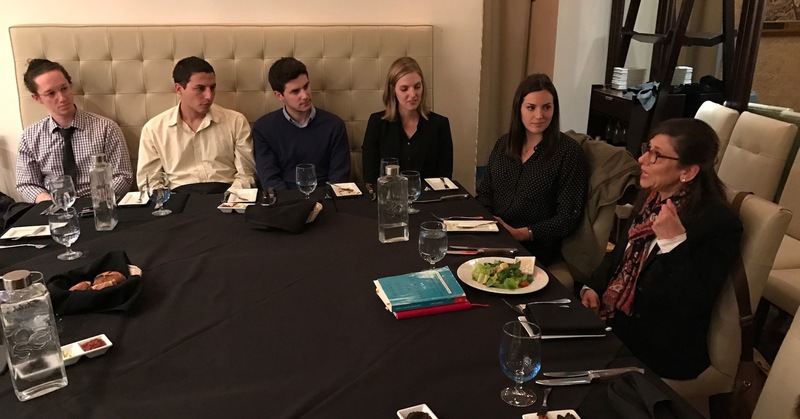 2/26/2019 - James J. Hyman, CEO at Hyman Inc.
JGSI’s signature Dinner for Eight – “D48” – Executive Dinner Series is a unique, groundbreaking forum for networking and career development among Jewish graduate students and young professionals. Participants gain the rare opportunity to share an intimate steakhouse dinner with a top Jewish executive, gaining valuable career and industry advice and professional networking while inspiring Jewish community involvement.